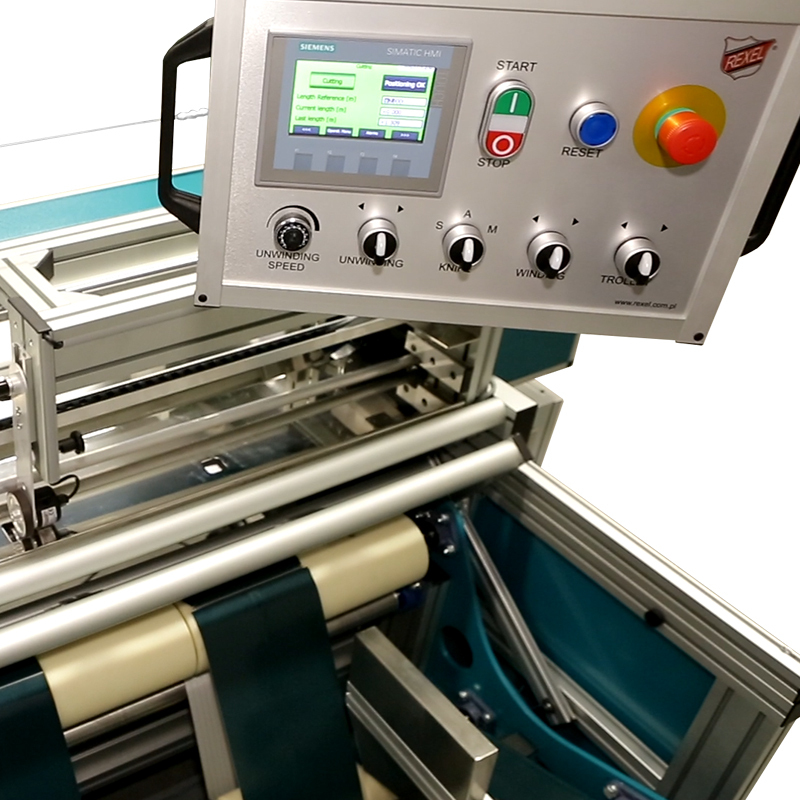 - Machine is designed to cut exact length and winds fabric onto a core. - Best suitable for non-elastic fabrics. 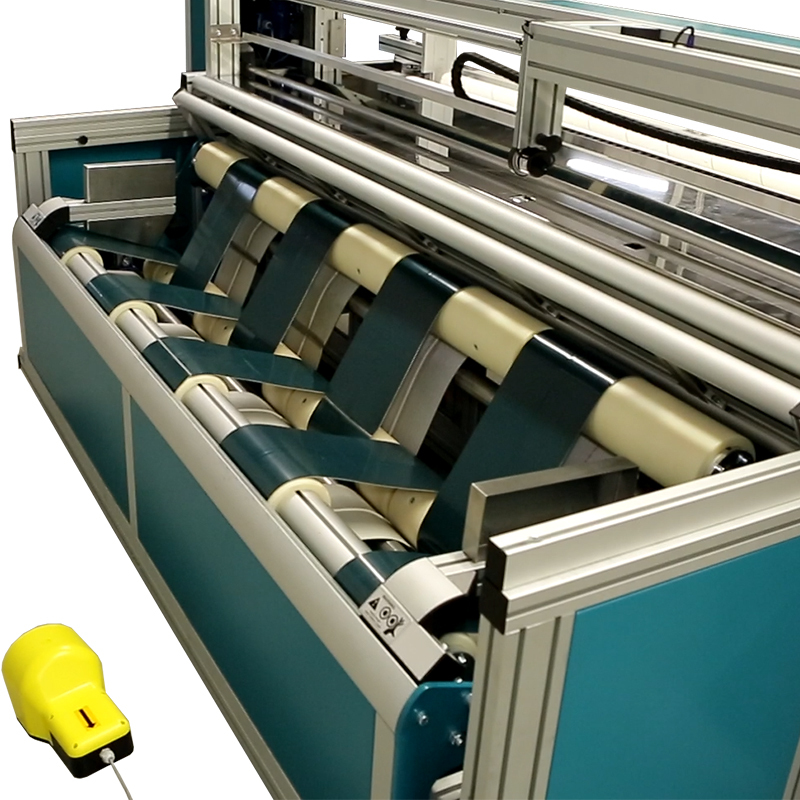 - Fabric edge sensor for even edge during rewinding. 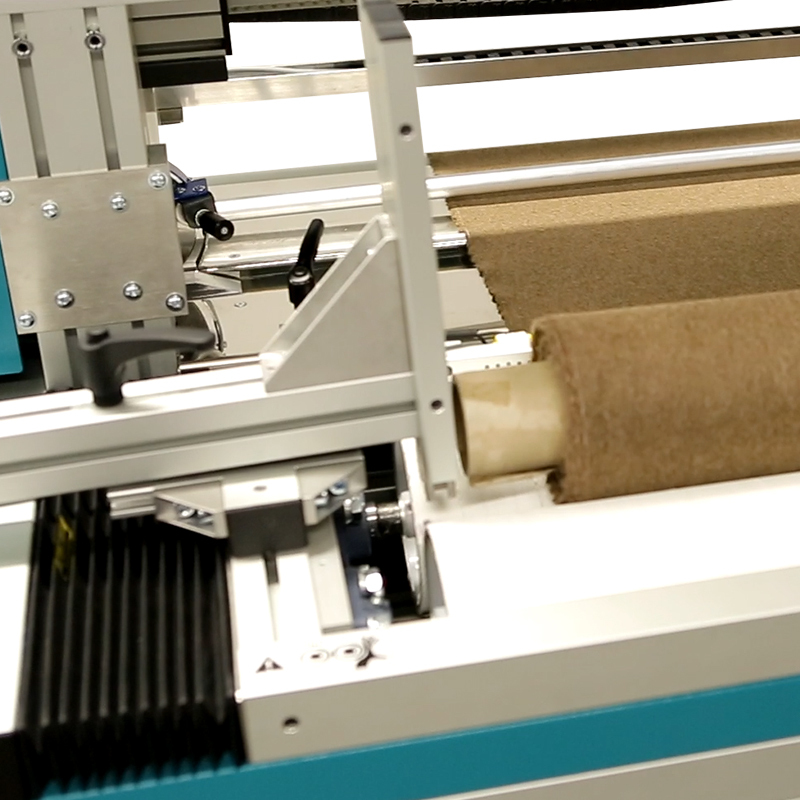 - After exact length is measured the automatic rolls stop and knife cuts through fabric. 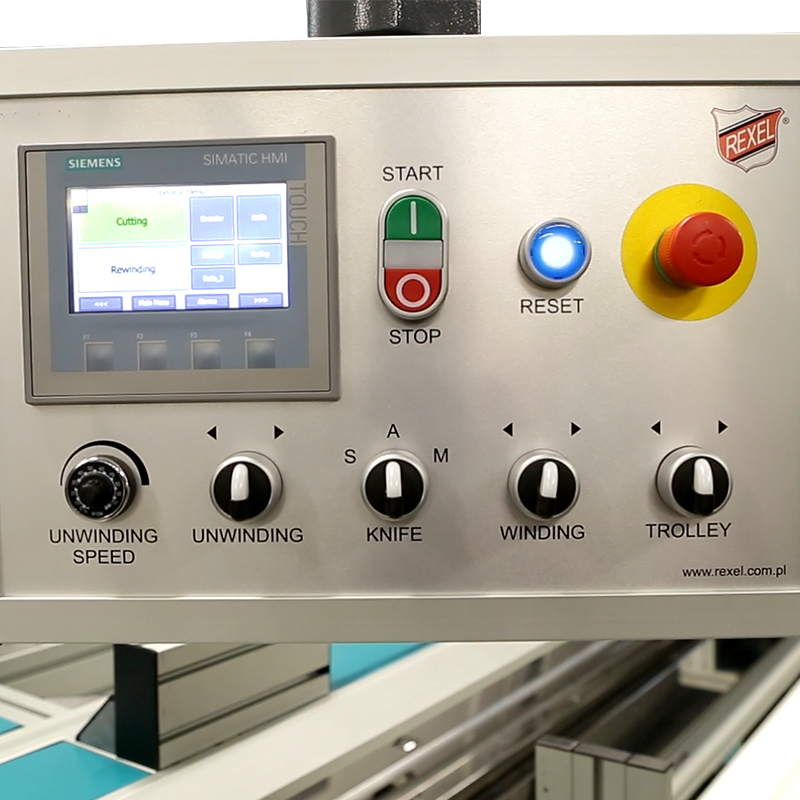 - Speed is adjustable on front and back feed rollers. 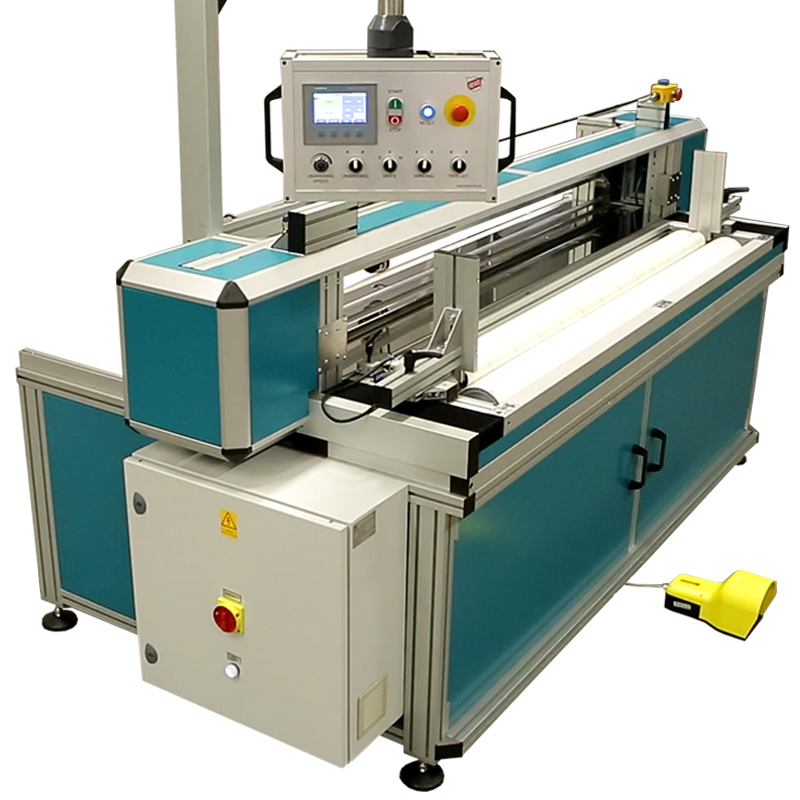 - Machine can be produced with different specifications. - Control panel is installed on swivel arm ensuring easy operation. - Control panel has high quality touchscreen. - User-friendly interface available in Polish, English or Russian (other languages upon request).